Summer doesn’t officially start until June 21st, but let’s be honest: we all have our sunglasses and sandals at the ready. ‘Tis the season for weekend getaways and leisurely vacations. If you’re not the sand-and-surf type, and you definitely don’t hear the mountains calling your name, make a break for the city instead. An urban adventure may not immediately come to mind when you imagine a week of R&R, but a city escape can be as relaxing or lively as you wish. One thing you won’t have to worry about is the cost. 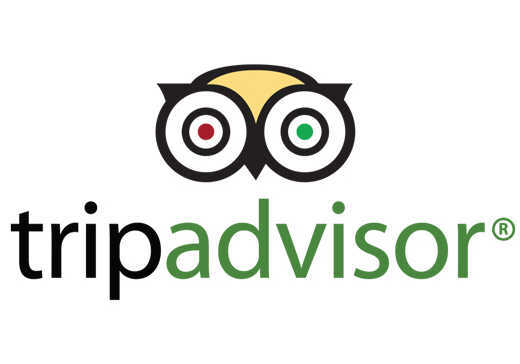 TripAdvisor vacation rentals are an ultra-affordable accommodation option, whether you’re looking for a centrally located apartment, a condo in a certain neighborhood, or a private home on the outskirts of the city. Travelers can save as much as 60% on their accommodation by choosing a city rental instead of a hotel in some destinations. Another perk? More flexibility. If you want to visit three museums in one day and do absolutely nothing on the next, you won’t have to worry about going stir crazy in a small hotel room. You can splurge on dinner and drinks at a top-rated restaurant one night, then put the kitchen to good use the next night with a home-cooked meal in your rental. You catch our drift: vacation rentals allow you to travel with more of the comforts of home, which makes for an all-around easier trip. We’ve crunched the numbers* and earmarked 13 affordable US cities to visit this summer (along with a must-see spot and a best-kept secret in each). Many offer the perfect combo of cosmopolitan pursuits and leisurely outdoor sights, so these urban destinations aren’t all filled with bustling trains or honking taxis. All that’s left to do now is book your stay! *AVG Weekly Rate reflects the average cost for a week-long stay in a two-bedroom property in that destination between May 30, 2016 and September 5, 2016. 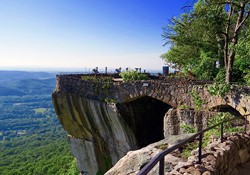 A small town overlooking Chattanooga, Lookout Mountain offers spectacular views and easy, enjoyable hikes. Be sure to visit National Park Service site, Point Park. Whether you’re looking to tap your toe to a bluegrass beat or clap along to a country song, visit Mountain Opry on Friday night for some quality (free!) entertainment.